New Delhi : Ranveer Singh's attempt to make an event cool by jumping over fans resulted in injuring one. 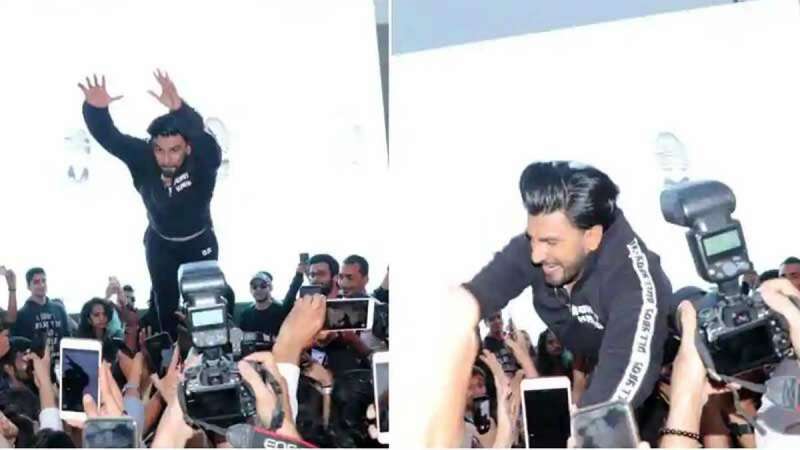 The Gully Boy star was at a Lakme Fashion Week event in Mumbai; he was performing on one of his songs from the movie when he decided to end the performance by jumping over fans. However, the cool stint ended in hurting a few. A Mid-Day report presented pictures of a few woman sitting on the floor after taking a fall. Twitter users did not take the Ranveer Singh's stint positively and reacted sharply to it. “Grow up Ranveer Singh and stop your childish antics,” wrote a Twitter user, sharing the news clipping online. “Tbh, I was there I wouldn’t have tried to catch you. Humpty would have suffered a great fall,” wrote another. Ranveer Singh's Gully Boy, directed by Zoya Akhtar, is all set to release in theatres on February 14. The film also stars Alia Bhatt in the lead role.